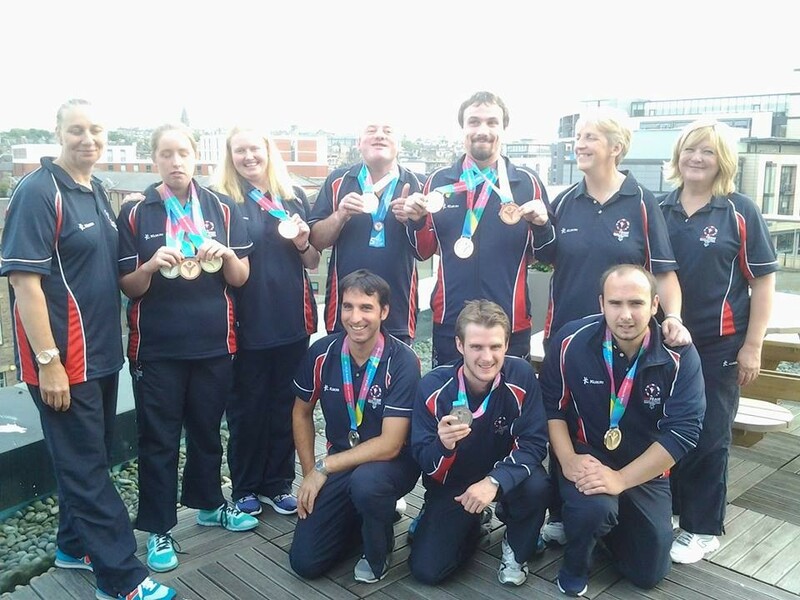 6 athletes, 1 Unified Player and 4 Head Coaches coaches from Lothian Special Olympics, joined the rest of the Scottish contingent at Edinburgh airport on Monday 20 July to fly to London. After 3 long years of planning, training and getting to know each other, the atmosphere was electric and excitement was hitting the roof. On arrival in London, the 48 athletes and 20 coaches from Scotland, joined up with the rest of the GB team and for the first time, we all put on our tracksuits and became TEAM GB. The whole GB team consisted of - 112 Athletes, 5 Unified Partners, 19 Head Coaches, 22 Coaches, 5 support team members and 34 management. The people of our host town, Calabasas could not have made our stay with them anymore enjoyable, they were extremely friendly, and couldn’t do enough for us. We trained each morning and just acclimatised ourselves to the very hot Californian weather. On the last evening, the whole town turned out at the King Gillette ranch and put on a hoe down for us, with a huge BBQ, an excellent bank, old Wells Fargo stage coach, this was one of the highlights of our stay, teaching us line dances, we taught them Strip the Willow. Many friendships between the Team and the People of Calabasas will I hope continue long after we come home. On the Friday, we travelled back to LA, were we were all taken to the British Ambassadors residence, again we were treated to a lovely afternoon of food and entertainment, meeting a few celebrities, like Audley Harrison,(with his gold medal) and Isaac C Singleton, of Pirates of Caribbean fame. Settling in to our athletes villages on the UCLA and the USA university sites, we were then able to start thinking about the competitions ahead. Some of the sports started their heats on the morning of the opening ceremony, finishing at lunch time so we could get ready and be taken by bus to the Millennium Coliseum for the opening ceremony. Walking out as Team GB was one of the most proud and dare I say the loudest experience I have ever witnessed. For the first time we were able to say hello to family members who had travelled to LA to support us. The opening ceremony was very emotional with very inspiring speeches from people like Michelle Obama, entertainment was from artists such as Stevie Wonder and Avril Lavigne. From the following day, most of the sports started to compete, or at least train. From the very word go, at the competition, GB athletes started to excel. I am delighted to say that Michelle Moran won the very first medal for the GB team, which was Silver in her individual 50m Breatstroke. From then medals came in thick and fast. I am sure you will agree that the LSO athletes surpassed all expectations and once again rose to the challenge making us all the Proudest coaches in the Country. The Head Coaches who were also part of the GB Team from Lothian were, Jamie McDonald Golf, Elaine McKenna Footballs 11s, Jo Imrie Judo and Yvonne Anderson Swimming. These guys were selected as Head Coaches because of their commitment, dedication and knowledge. LSO are very proud to have coaches of this calibre and extremely proud that they were able to inspire and lead our athletes into a very successful World Games. Mirren McDonald was also part of the GB team in the role of Family Liaison, a very difficult role to hold as there were a number of problems with transport throughout the games, Well done Mirren on all your hard work. The closing ceremony was held on Sunday 2nd August, this was a more relaxed affair, again held in the Millennium Coliseum, Entertainment from singers such as Carly Rae Jepsen, the athletes and coaches were able to dance the night away, enjoying all the friendships they had made with people from across the world. In total there were 7,000 athletes in LA 22 sports, 177 countries this made this the biggest sports event anywhere in the world this year. What can I say but well done to all the Lothian athletes and coaches who were part of this, you did us all proud.